Need it fast? Order within the next for FREE GUARANTEED DELIVERY to mainland UK tomorrow! What is the purpose of the Fraction desk high pedestals? 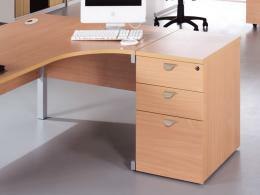 The Fraction desk high pedestal from The Workplace Depot is the perfect extensions to your office desk. It will offer you extra storage and a neat and tidy workspace. 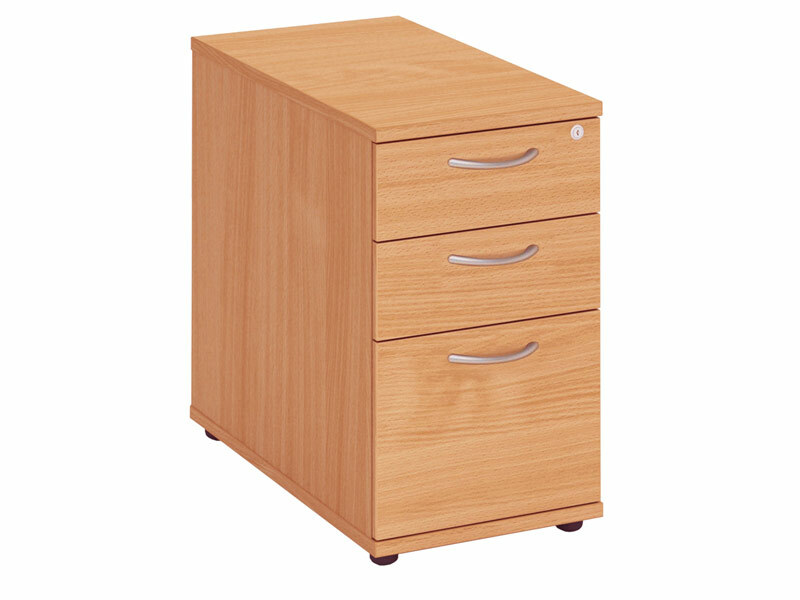 Our pedestals come in several finishes to compliment your existing office furniture and include three smooth running drawers to help keep files and documents tidy. Where Fraction desk high pedestals be used? 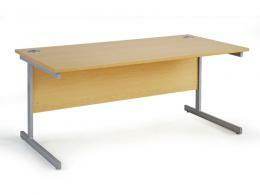 The Fraction desk high pedestals make a great addition to any commercial or home office space. The fit neatly under a desk so won’t take up any additional space and you can store files, documents, stationary and other office necessities away neatly and safely, freeing up your workspace. Who might use Fraction desk high pedestals? Anyone who wants to keep their work area neat and tidy and securely store files, papers, stationary, personal and work-related items will find these Fraction desk high pedestals convenient and easy to store and use. Order your Fraction desk high pedestals today from The Workplace Depot and get free delivery in 10 working days as well as a one-year warranty on parts and labour. 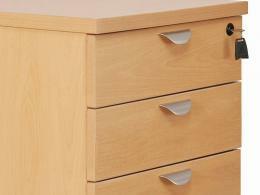 These pedestals are a suitable attachment for Fraction desks and all drawers operate silently on metal rollers and can be easily locked. Customers can enjoy a choice of two colours and two different heights to suit the particular height of your current desk. The Workplace Depot offers free assembly of this product and we accept payment via PayPal and most major credit cards. Place your order today or contact our sales team who are happy to assist with any queries you may have. The Workplace Depot offers a Price Promise to match any price!